Is nature (an individual’s innate qualities) or nurture (personal experience) more important in determining physical and behavioral traits? Nature refers to innate qualities like human nature or genetics. Nurture refers to care given to children by parents or, more broadly, to environmental influences such as media and marketing. The nature versus nurture debate raises philosophical questions about determinism and free will. nurture: The environmental influences that contribute to the development of an individual; see also nature. nature: The innate characteristics of a thing. What something will tend by its own constitution, to be or do. Distinct from what might be expected or intended. determinism: The doctrine that all actions are determined by the current state and immutable laws of the universe, with no possibility of choice. The nature versus nurture debate rages over whether an individual’s innate qualities or personal experiences are more important in determining physical and behavioral traits. In the social and political sciences, the nature versus nurture debate may be compared with the structure versus agency debate, a similar discussion over whether social structure or individual agency (choice or free will) is more important for determining individual and social outcomes. Identical Twins: Because of their identical genetic makeup, twins are used in many studies to assess the nature versus nurture debate. Historically, the “nurture” in the nature versus nurture debate has referred to the care parents give to children. But today, the concept of nurture has expanded to refer to any environmental factor – which may arise from prenatal, parental, extended family, or peer experiences, or even from media, marketing, and socioeconomic status. Environmental factors could begin to influence development even before it begins: a substantial amount of individual variation might be traced back to environmental influences that affect prenatal development. The “nature” in the nature versus nurture debate generally refers to innate qualities. In historical terms, nature might refer to human nature or the soul. In modern scientific terms, it may refer to genetic makeup and biological traits. 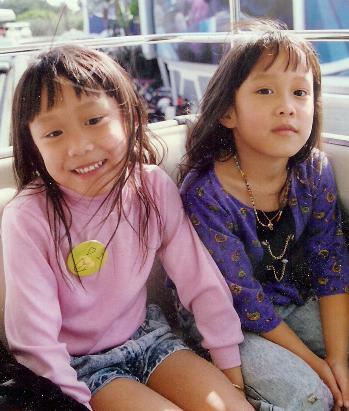 For example, researchers have long studied twins to determine the influence of biology on personality traits. These studies have revealed that twins, raised separately, still share many common personality traits, lending credibility to the nature side of the debate. However, sample sizes are usually small, so generalization of the results must be done with caution. The nature versus nurture debate conjures deep philosophical questions about free will and determinism. The “nature” side may be criticized for implying that we behave in ways in which we are naturally inclined, rather than in ways we choose. Similarly, the “nurture” side may be criticized for implying that we behave in ways determined by our environment, not ourselves. Of course, sociologists point out that our environment is, at least in part, a social creation. Sociobiology examines and explains social behavior based on biological evolution. Sociobiologists believe that human behavior, like nonhuman animal behavior, can be partly explained as the outcome of natural selection. Sociobiologists are interested in instinctive, or intuitive behavior, and in explaining the similarities, rather than the differences, between cultures. Many critics draw an intellectual link between sociobiology and biological determinism, the belief that most human differences can be traced to specific genes rather than differences in culture or social environments. biological determinism: The hypothesis that biological factors such as an organism’s genes (as opposed to social or environmental factors) determine psychological and behavioral traits. natural selection: A process by which heritable traits conferring survival and reproductive advantage to individuals, or related individuals, tend to be passed on to succeeding generations and become more frequent in a population, whereas other less favorable traits tend to become eliminated. sociobiology: The science that applies the principles of evolutionary biology to the study of social behavior in both humans and animals. Sociobiology is a field of scientific study which is based on the assumption that social behavior has resulted from evolution. It attempts to explain and examine social behavior within that context. Often considered a branch of biology and sociology, it also draws from ethology, anthropology, evolution, zoology, archaeology, population genetics, and other disciplines. Within the study of human societies, sociobiology is very closely allied to the fields of Darwinian anthropology, human behavioral ecology, and evolutionary psychology. While the term “sociobiology” can be traced to the 1940s, the concept didn’t gain major recognition until 1975 with the publication of Edward O. Wilson’s book, Sociobiology: The New Synthesis. 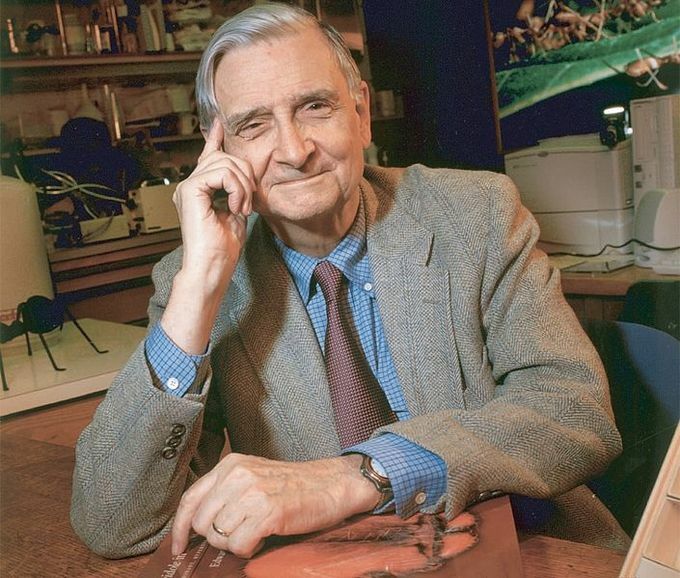 Edward O. Wilson: E. O. Wilson is a central figure in the history of sociobiology. Sociobiologists believe that human behavior, like nonhuman animal behavior, can be partly explained as the outcome of natural selection. They contend that in order to fully understand behavior, it must be analyzed in terms of evolutionary considerations. Natural selection is fundamental to evolutionary theory. Variants of hereditary traits, which increase an organism’s ability to survive and reproduce, are more likely to be passed on to subsequent generations. Thus, inherited behavioral mechanisms that allowed an organism a greater chance of surviving and reproducing in the past are more likely to survive in present organisms. Following this evolutionary logic, sociobiologists are interested in how behavior can be explained as a result of selective pressures in the history of a species. Thus, they are often interested in instinctive, or intuitive behavior, and in explaining the similarities, rather than the differences, between cultures. Sociobiologists reason that common behaviors likely evolved over time because they made individuals who exhibited those behaviors more likely to survive and reproduce. Many critics draw an intellectual link between sociobiology and biological determinism, the belief that most human differences can be traced to specific genes rather than differences in culture or social environments. Critics also see parallels between sociobiology and biological determinism as a philosophy underlying the social Darwinian and eugenics movements of the early 20th century as well as controversies in the history of intelligence testing. Social deprivation, or prevention from culturally normal interaction with society, affects mental health and impairs child development. As they develop, humans go through several critical periods, or windows of time during which they need to experience particular environmental stimuli in order to develop properly. Feral children provide an example of the effects of severe social deprivation during critical developmental periods. Attachment theory argues that infants must develop stable, on-going relationships with at least one adult caregiver in order to form a basis for successful development. The term maternal deprivation is a catch phrase summarizing the early work of psychiatrist and psychoanalyst John Bowlby on the effects of separating infants and young children from their mother. In United States law, the “tender years” doctrine was long applied when custody of infants and toddlers was preferentially given to mothers. feral children: A feral child is a human child who has lived isolated from human contact from a very young age, and has no experience of human care, loving or social behavior, and, crucially, of human language. Attachment Theory: Attachment theory describes the dynamics of long-term relationships between humans. Its most important tenet is that an infant needs to develop a relationship with at least one primary caregiver for social and emotional development to occur normally. Social deprivation: In instances of social deprivation, particularly for children, social experiences tend to be less varied and development may be delayed or hindered. Humans are social beings, and social interaction is essential to normal human development. Social deprivation occurs when an individual is deprived of culturally normal interaction with the rest of society. Certain groups of people are more likely to experience social deprivation. For example, social deprivation often occurs along with a broad network of correlated factors that all contribute to social exclusion; these factors include mental illness, poverty, poor education, and low socioeconomic status. By observing and interviewing victims of social deprivation, research has provided an understanding of how social deprivation is linked to human development and mental illness. As they develop, humans pass through critical periods, or windows of time during which they need to experience particular environmental stimuli in order to develop properly. But when individuals experience social deprivation, they miss those critical periods. 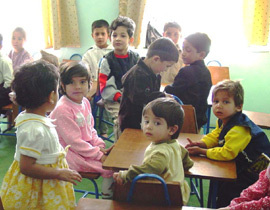 Thus, social deprivation may delay or hinder development, especially for children. Feral children provide an example of the effects of severe social deprivation during critical developmental periods. Feral children are children who grow up without social interaction. In some cases, they may have been abandoned early in childhood and grown up in the wilderness. In other cases, they may have been abused by parents who kept them isolated from other people. In several recorded cases, feral children failed to develop language skills, had only limited social understanding, and could not be rehabilitated. Attachment theory may explain why social deprivation has such dire effects for children. According to attachment theory, an infant needs to develop a relationship with at least one primary caregiver for social and emotional development to occur normally. Attachment Theory: This film provides an explanation of John Bowlby’s Attachment Theory. Maternal Deprivation: The idea that separation from the female caregiver has profound effects is one with considerable resonance outside the conventional study of child development. Social isolation refers to a complete or near-complete lack of contact with society, which can affect all aspects of a person’s life. True social isolation is not the same as loneliness. It is often a chronic condition that persists for years and affects all aspects of a person’s existence. Emotional isolation is a term used to describe a state of isolation where the individual is emotionally isolated, but may have a well functioning social network. Social networks promote good health by providing direct support, encouraging healthy behaviors, and linking people with diffuse social networks that facilitate access to a wide range of resources supportive of health. Sociologists debate whether new technologies, such as the Internet and mobile phones, exacerbate social isolation or encourage it. A widely-held hypothesis is that social ties link people with diffuse social networks that facilitate access to a wide range of resources supportive of health. emotional isolation: Emotional isolation is a term used to describe a state of isolation where the individual is emotionally isolated, but may have a well functioning social network. Social isolation occurs when members of a social species (like humans) have complete or near-complete lack of contact with society. Social isolation is usually imposed involuntary, not chosen. Social isolation is not the same as loneliness rooted in temporary lack of contact with other humans, nor is it the same as isolating actions that might be consciously undertaken by an individual. A related phenomenon, emotional isolation may occur when individuals are emotionally isolated, even though they may have well-functioning social networks. While loneliness is often fleeting, true social isolation often lasts for years or decades and tends to be a chronic condition that affects all aspects of a person’s existence and can have serious consequences for health and well being. Socially isolated people have no one to turn to in personal emergencies, no one to confide in during a crisis, and no one against whom to measure their own behavior against or from whom to learn etiquette or socially acceptable behavior. Social isolation can be problematic at any age, although it has different effects for different age groups (that is, social isolation for children may have different effects than social isolation for adults, although both age groups may experience it). Social isolation can be dangerous because the vitality of individuals’ social relationships affect their health. Social contacts influence individuals’ behavior by encouraging health-promoting behaviors, such as adequate sleep, diet, exercise, and compliance with medical regimens or by discouraging health-damaging behaviors, such as smoking, excessive eating, alcohol consumption, or drug abuse. Socially isolated individuals lack these beneficial influences, as well as lacking a social support network that can provide help and comfort in times of stress and distress. Social relationships can also connect people with diffuse social networks that facilitate access to a wide range of resources supportive of health, such as medical referral networks, access to others dealing with similar problems, or opportunities to acquire needed resources via jobs, shopping, or financial institutions. These effects are different from receiving direct support from a friend; instead, they are based on the ties that close social ties provide to more distant connections. Sociologists debate whether new technologies, such as the Internet and mobile phones exacerbate social isolation or could help overcome it. With the advent of online social networking communities, people have increasing options for engaging in social activities that do not require real-world physical interaction. Chat rooms, message boards, and other types of communities are now meeting social needs for those who would rather stay home alone, yet still develop communities of online friends. 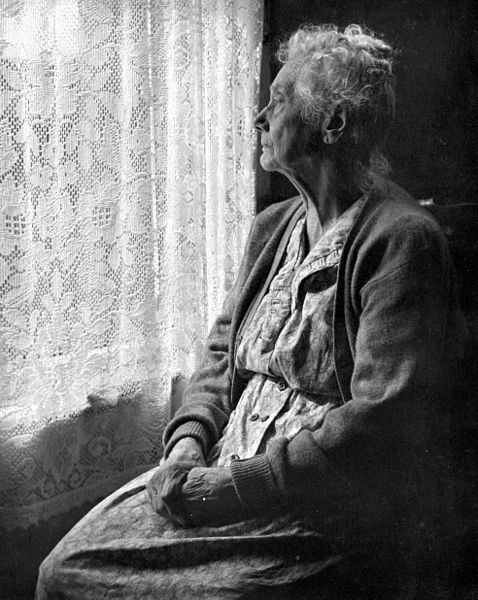 Social Isolation: Older adults are particularly susceptible to social isolation. A feral child is a human child who has lived isolated from human contact from a very young age. Legendary and fictional feral children are often depicted as growing up with relatively normal human intelligence and skills and an innate sense of culture or civilization. In reality, feral children lack the basic social skills that are normally learned in the process of enculturation. They almost always have impaired language ability and mental function. These impairments highlight the role of socialization in human development. The impaired ability to learn language after having been isolated for so many years is often attributed to the existence of a critical period for language learning, and is taken as evidence in favor of the critical period hypothesis. enculturation: The process by which an individual adopts the behaviour patterns of the culture in which he or she is immersed. critical period: A critical period refers to the window of time during which a human needs to experience a particular environmental stimulus in order for proper development to occur. feral child: A child who is raised without human contact as a result of being abandoned, allegedly often raised by wild animals. A feral child is a human child who has lived isolated from human contact from a very young age, and has no (or little) experience of human care, loving or social behavior, and, crucially, of human language. Some feral children have been confined in isolation by other people, usually their own parents. In some cases, this child abandonment was due to the parents rejecting a child’s severe intellectual or physical impairment. Feral children may have experienced severe child abuse or trauma before being abandoned or running away. Myths, legends, and fictional stories have depicted feral children reared by wild animals such as wolves and bears. Legendary and fictional feral children are often depicted as growing up with relatively normal human intelligence and skills and an innate sense of culture or civilization, coupled with a healthy dose of survival instincts. Their integration into human society is also made to seem relatively easy. These mythical children are often depicted as having superior strength, intelligence, and morals compared to “normal” humans. The implication is that because of their upbringing they represent humanity in a pure and uncorrupted state, similar to the noble savage. In reality, feral children lack the basic social skills that are normally learned in the process of enculturation. For example, they may be unable to learn to use a toilet, have trouble learning to walk upright, and display a complete lack of interest in the human activity around them. They often seem mentally impaired and have almost insurmountable trouble learning human language. The impaired ability to learn language after having been isolated for so many years is often attributed to the existence of a critical period for language learning at an early age, and is taken as evidence in favor of the critical period hypothesis. It is theorized that if language is not developed, at least to a degree, during this critical period, a child can never reach his or her full language potential. The fact that feral children lack these abilities pinpoints the role of socialization in human development. Famous examples of feral children include Ibn Tufail’s Hayy, Ibn al-Nafis’ Kamil, Rudyard Kipling’s Mowgli, Edgar Rice Burroughs’ Tarzan, J. M. Barrie’s Peter Pan, and the legends of Atalanta, Enkidu and Romulus and Remus. Tragically, feral children are not just fictional. Several cases have been discovered in which caretakers brutally isolated their children and in doing so prevented normal development. A real-life example of a feral child is Danielle Crockett, known as “The Girl in the Window”. The officer who found Danielle reported it was “the worst case of child neglect he had seen in 27 years”. Doctors and therapists diagnosed Danielle with environmental autism, yet she was still adopted by Bernie and Diane Lierow. Danielle could not speak or respond to others nor eat solid food. Today, Danielle lives in Tennessee with her parents and has made remarkable progress. She communicates through the PECS system and loves to swim and ride horses. 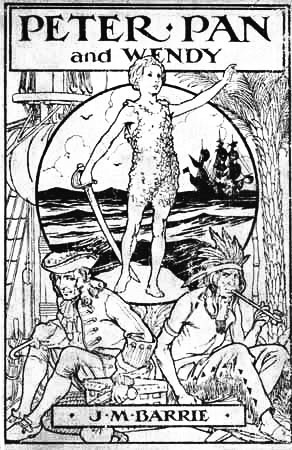 Peter Pan: Peter Pan is an example of a fictional feral child. Institutionalized children may develop institutional syndrome, which refers to deficits or disabilities in social and life skills. The term “institutionalization” can be used both in regard to the process of committing an individual to a mental hospital or prison, and to institutional syndrome. Juvenile wards are sections of psychiatric hospitals or psychiatric wards set aside for children and adolescents with mental illness. Deinstitutionalization is the process of replacing long-stay psychiatric hospitals with less isolated community mental health service for those diagnosed with a mental disorder. mental illness: Mental illness is a broad generic label for a category of illnesses that may include affective or emotional instability, behavioral dysregulation, and/or cognitive dysfunction or impairment. Institutional syndrome: In clinical and abnormal psychology, institutional syndrome refers to deficits or disabilities in social and life skills, which develop after a person has spent a long period living in mental hospitals, prisons, or other remote institutions. In clinical and abnormal psychology, institutional syndrome refers to deficits or disabilities in social and life skills, which develop after a person has spent a long period living in mental hospitals, prisons, or other remote institutions. In other words, individuals in institutions may be deprived of independence and of responsibility, to the point that once they return to “outside life” they are often unable to manage many of its demands. It has also been argued that institutionalized individuals become psychologically more prone to mental health problems. The term institutionalization can be used both in regard to the process of committing an individual to a mental hospital or prison, or to institutional syndrome; thus a person being “institutionalized” may mean either that he/she has been placed in an institution, or that he/she is suffering the psychological effects of having been in an institution for an extended period of time. 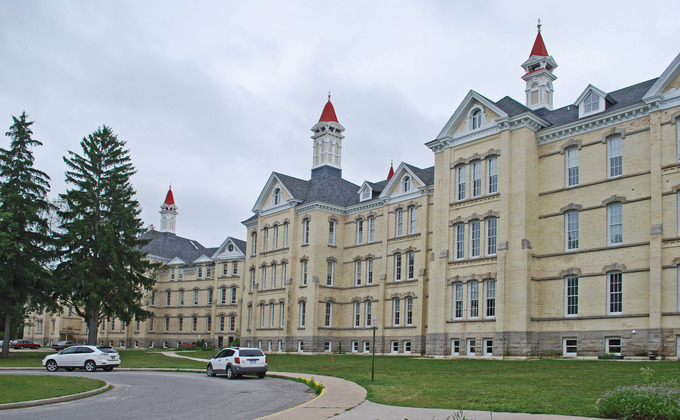 Psychiatric Wards: Many state hospitals have mental health branches, such as the Northern Michigan Asylum. Deinstitutionalization is the process of replacing long-stay psychiatric hospitals with less isolated community mental health service for those diagnosed with a mental disorder or developmental disability. Deinstitutionalization can have multiple definitions; the first focuses on reducing the population size of mental institutions. This can be accomplished by releasing individuals from institutions, shortening the length of stays, and reducing both admissions and readmission. The second definition refers to reforming mental hospitals’ institutional processes so as to reduce or eliminate reinforcement of dependency, hopelessness, learned helplessness, and other maladaptive behaviors.